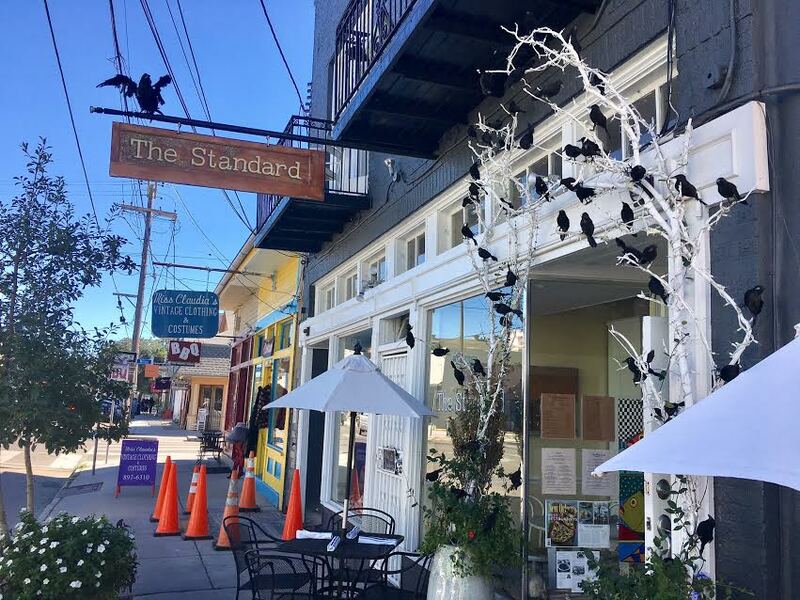 Today was finally a picture perfect Fall day in New Orleans, so J & I walked to brunch at The Standard. 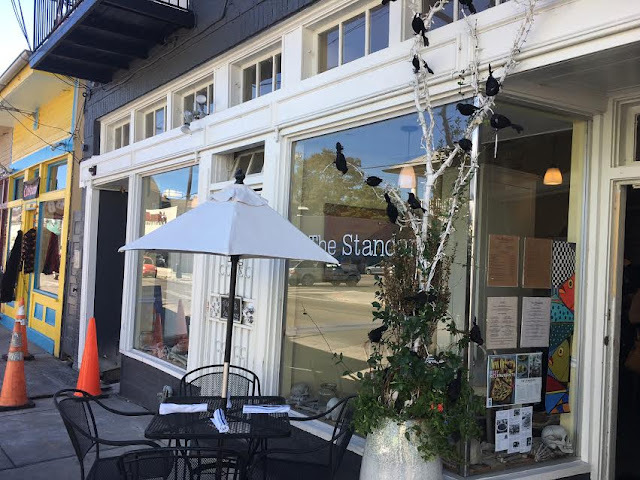 Located on Magazine Street, the facade features white branches wrapped in white lights and a flock of black crows for the Halloween season. There are plenty of places to get Cajun Food, Mexican Food, Seafood, but is there a place to get just a regular American Meal? New Orleans is all about 'being different' but how many of the restaurants you eat at, serve the same thing as the last one? The Standard is unlike any other restaurant in town, in the sense that is offers you regular food that you would find at any neighborhood restaurant-- except one in New Orleans. 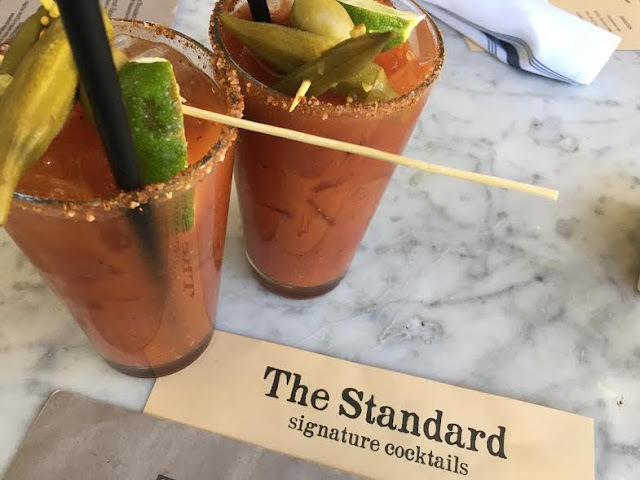 Of course there is a cajun spice to it, but there is literally something for everyone at The Standard. 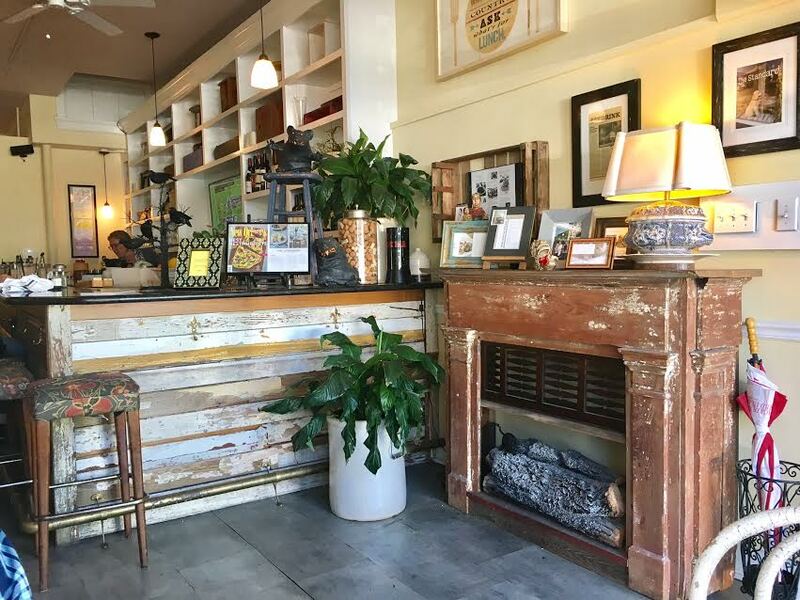 The interior is quaint and welcoming. J & I sat in one of the front windows. It is a great place for people watching, and you'll see all types walking Magazine Street. J & I started with delicious Bloody Marys. pounded and marinated boneless chicken breast over smashed potatoes, with black pepper gravy. I chose the shrimp & grits, sautéed shrimp with creamy jalapeño cheese sauce over grits. J & I both left full and happy. 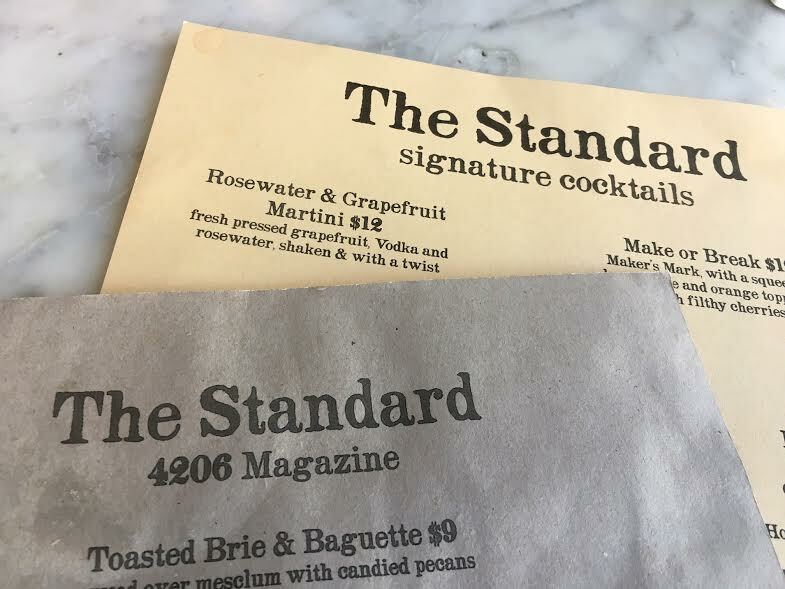 We are adding The Standard to our brunch list of geaux tos. 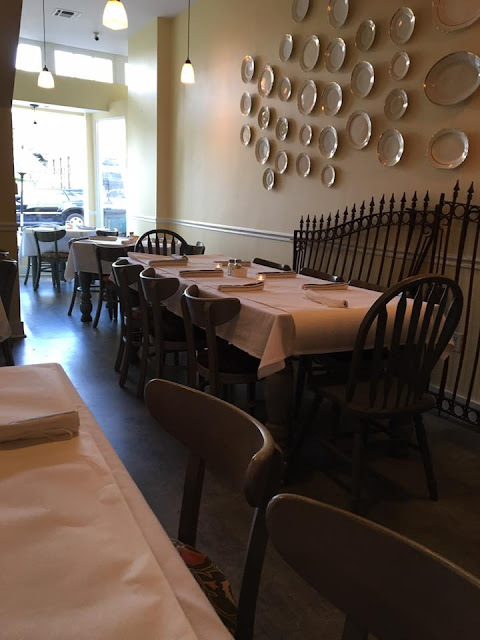 We recommend you visit this New Orleans staple when you are along Magazine Street. You will be glad you did. Ron, I'll have to check this place out! Will probably be in NOLA in the next couple of weeks. Hi Ron- that looks like a great place to visit and have a good meal. My daughter is planning a spring visit there next year and may appreciate knowing about some of the restaurants you've talked about on your blog! I agree. There are some sights around these parts. LOL! Yum! I would love to have either dishes y'all had. They both sound great (and southern). You live in such a unique city with so much to see and do. One day, I'll have to go visit there. I've never been! Is Emeril's Nola's still there? Ate there years ago and it was amazing. Best bread basket ever and the server was a guy I will never forget. I need to plan a trip soon. I live in Vegas now and Emeril's Delmonico's is one of my favorites.